Thera Bolly | Gymnic - Ledraplastic S.p.A. The Thera Bolly is an amusing game, which helps kids develop their fine motor skills. 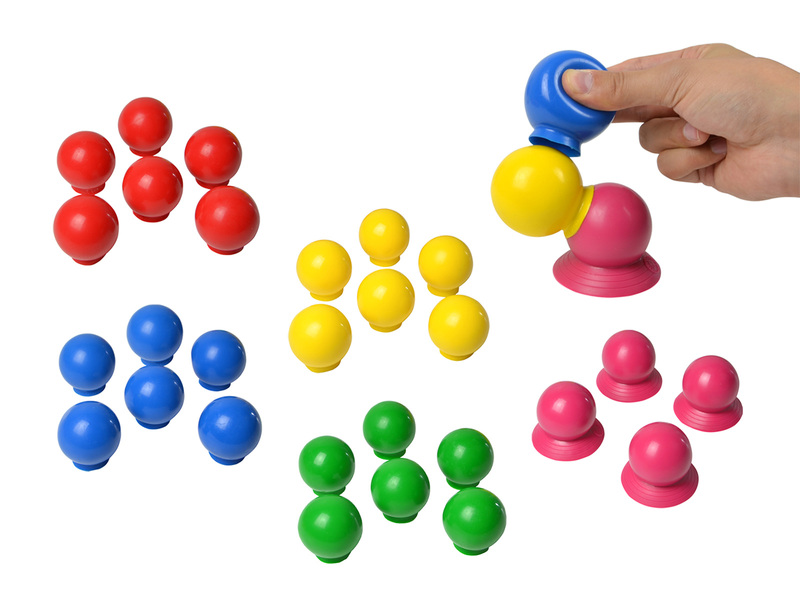 The small coloured balls are equipped with a sucker and can be easily stuck to each other with a gentle squeeze. In this way, your child can create many different constructions. Thanks to the assorted five colours, Thera Bolly can be included in educational and recreational activities. One set of Thera Bolly is supplied in a transparent elephant-shaped box containing 28 balls. Wash the product with water and neutral soap.